2-way Motor && 16-way Servo Drive Shield is a compatible with Arduino UNO R3 and ESPduino development board. 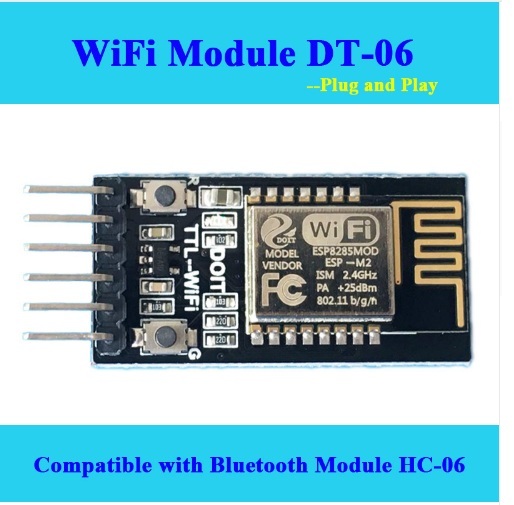 This module can be inserted directly into the Arduino UNO and/or ESPduino. But if using ESPduino, you can develop quickly and conveniently a tank/car chassis controlled by WiFi. This driver shield can control 2-way DC motor (4.5~18v) and 16-way servo (5-18V), which is very suitable for the control of mobile robot with robotic arm. 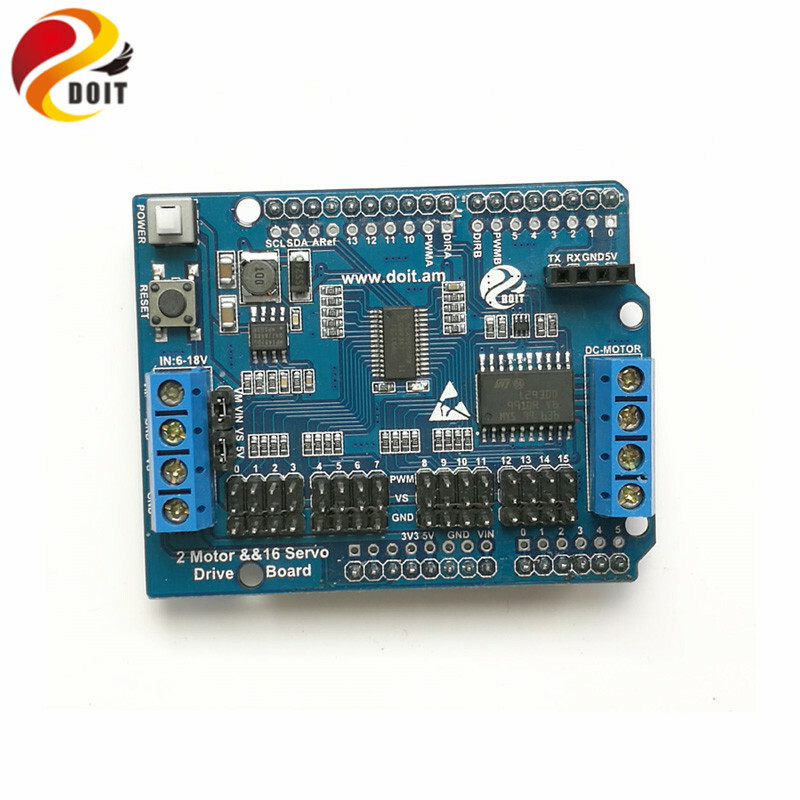 This board is designed by using L293DD, which can drive directly 2-way DC motor or 1-way stepping motor. Its max current can be 1.2A. 16-way servo is controlled by IIC interface on the board. The IO interfaces is used as the control interface for Arduino UNO and ESPduino. 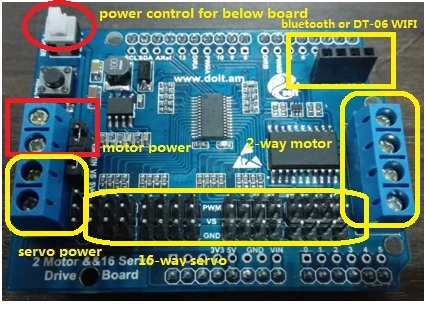 Thus, just the four ports D6, D7, D11, and D12 ( as for ESPduino, it is D12, D13, D3, D1) is defined as PWMB ( speed for motor B), DIRB (the turn direction for motor B) PWMA(speed for motor A), and DIRA( the turn direction for motor B). The humanized design is used the power switch, which can make one on/off the power conveniently. 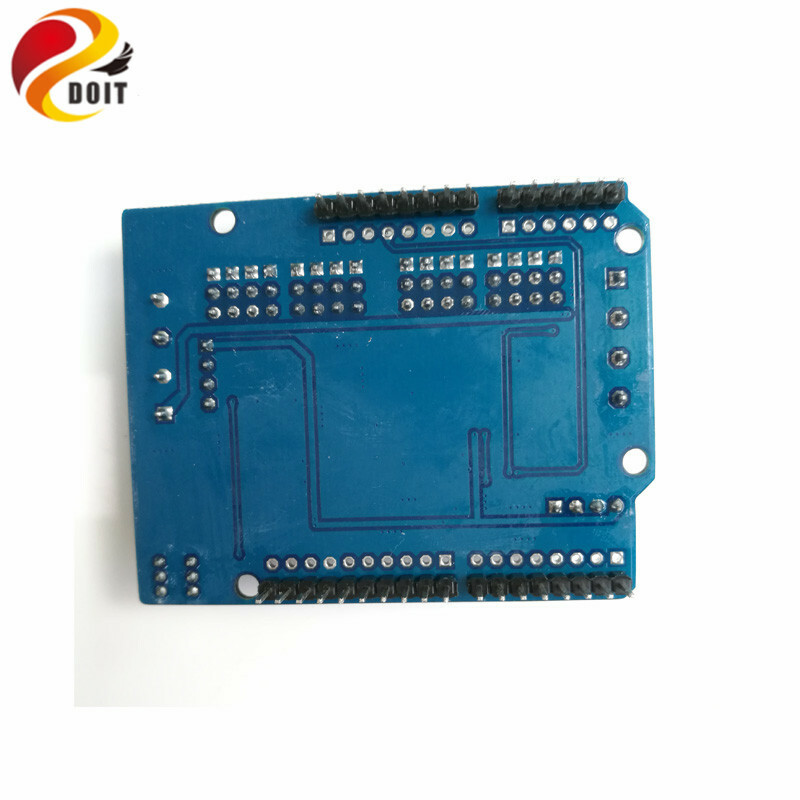 The board can directly be used to control the intelligent robot by Bluetooth (pre-server) and/or WiFi. If short VM and VIN, and short VS and 5V, then CAN control the 2-way motor (with 6-18V) and 16-way 5V servo.